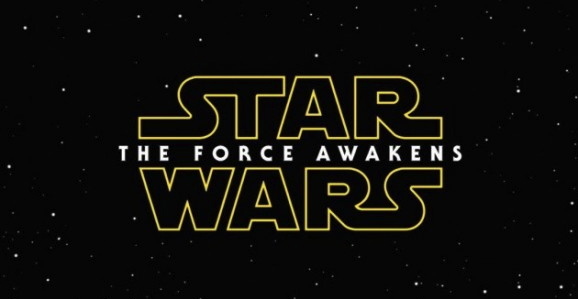 There’s been a lot of talk about the upcoming trailer for Star Wars: The Force Awakens, which could drop anywhere from later this week to the end of the year, and we’ve heard a couple different accounts (one report describes it like THIS, while another like THIS). Though we’ll have to wait and see it for ourselves, a new report indicates that we might get our first look at the new villain in the trailer. I still don’t know if you can spoil a trailer, but there may be some spoilers for the trailer beyond this point. You’ve been warned. According to Latino Review, some test audiences in Europe have seen the short, minute-long trailer for The Force Awakens, and as there are now multiple sources, some pieces of this puzzle have multiple reports backing them up. We’ve heard that the footage features flashes of the characters fading in and out of black, and while that’s still in play, these images apparently aren’t all going to be the good guys. The villain, who has alternately been called the Inquisitor (different from the one in Star Wars Rebels), cyborg, Jedi Hunter, and other things over the last few months, will also pop up. 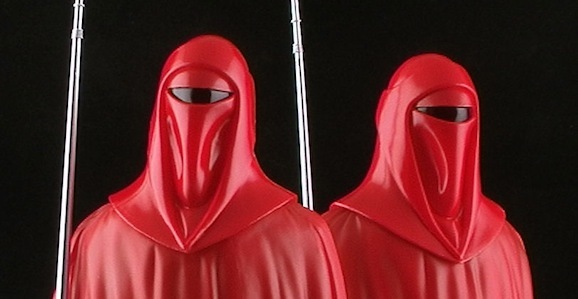 The character is described as looking like a combination of one of the Imperial Guards from Return of the Jedi and Darth Revan from Knights of the Old Republic, which actually sounds like a badass mixture. …and one of Darth Revan. We still don’t know exactly when this trailer will appear. Some have said it could show up with The Hunger Games: Mockingjay—Part 1 this weekend, which seems ridiculously soon, especially if they’re just showing it to test groups now. December seems more likely, which isn’t all that far away in reality. A few people suspect it could appear with The Hobbit: Battle of the Five Armies, which is a thing we keep forgetting about, but it’s also possible that it may drop with Disney’s Into the Woods on Christmas day. That’s certainly a way to attract a demographic not super interested in a fairy tale musical. Odds are, when we do finally set eyes on the Star Wars: The Force Awakens trailer, it will just give us more questions than answers, but isn’t that how it should be? Anyway, the new discussion threads will help us fill the time between then and December 18, 2015 when the movie finally opens. And honestly, who the hell cares if it’s vague or oblique because we’re super close to seeing actual new Star Wars footage, and that’s damn exciting. One could be an internet trailer and the other theatrical.